Livestream: are you convinced by the LG G7 ThinQ? LG has finally unveiled its latest flagship. It's called the G7 ThinQ and, already from its name, you can see its link with artificial intelligence. Has the South Korean brand really revolutionized the G line? What do you think about the new smartphone? LG has taken its time to formally announce the G7 ThinQ. The manufacturer wanted to work on design and features offered by the new representative of the G line which enters into the era of artificial intelligence and into the ThinQ universe to which the V30S ThinQ already belongs. Now we can finally admire the smartphone together and take a look at the technical specifications and features. In the camera, audio and display we find several new features compared to the previous generation, but has LG managed to win you over this time? What do you think about the brand's new high-end smartphone? We're ready to answer your questions about the G7 ThinQ! Is this the phone that will save LG from their own shortcomings? Can this phone top the pixal XL or the s9+? Nah, I highly doubt it. 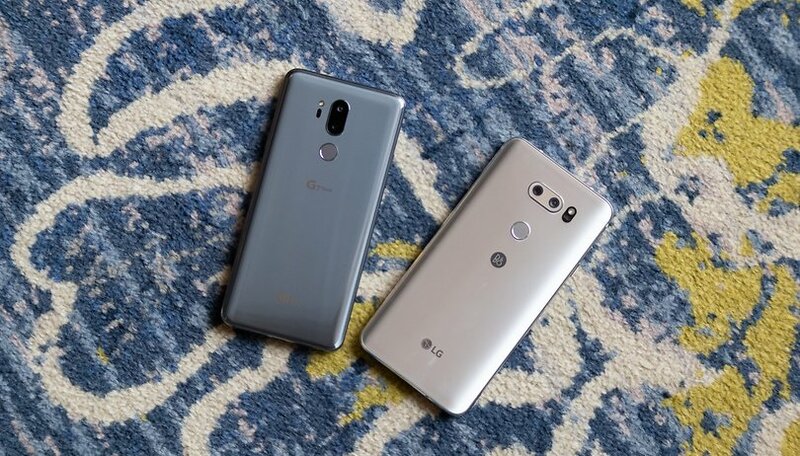 I think LG is in serious trouble. Their mobile division continues to lose money. What's next from the great minds of LG! How many V30S's will sell with a price tag of 929.00? A thousand dollars for an LG phone. Someone has been smoking the wrong stuff, great scott!